We have an extensive land bank at different locations in India. Most of our projects have kicked off successfully and we are in the process of obtaining requisite sanctions for those in the pipeline. Following is a list of our properties: Kondhwa & Uruli Kanchan in Pune, Shahpur, Mulshi, Udaipur, Bangalore, Sohna Palwal. Our widespread portfolio stands testament to our mission of building quality residential spaces at prime locations across India. Endeavouring to conquer new markets, we've made a foray in the Second Homes market with our first project at Shahpur. Envisioned as a home away from home, it will come replete with all necessary lifestyle amenities. Anishka Developers Pvt. 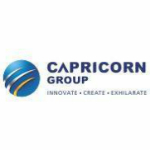 Ltd. is a 100% owned subsidiary of Capricorn Group.